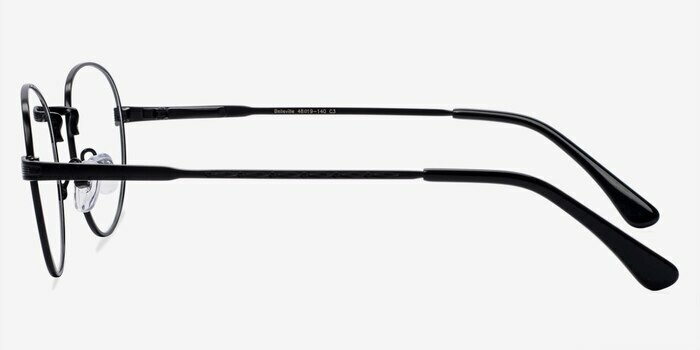 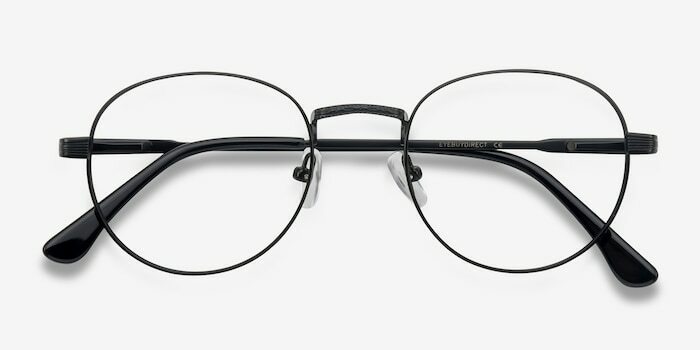 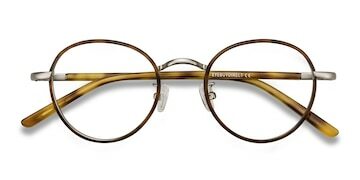 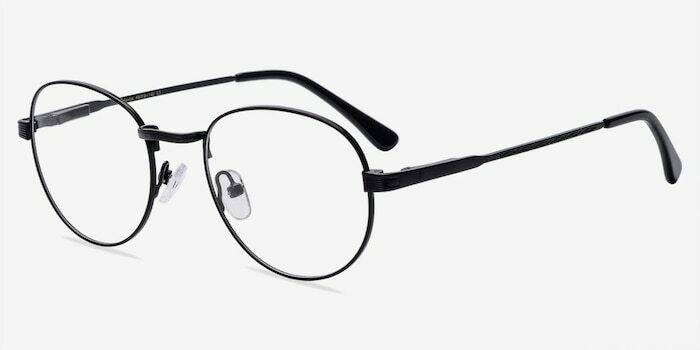 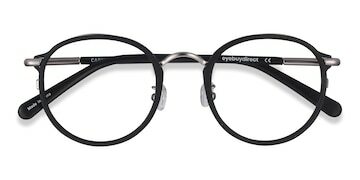 These matte black eyeglasses are the epitome of clean design and class. 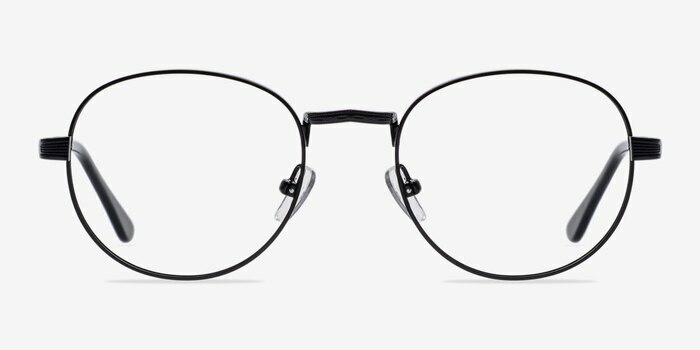 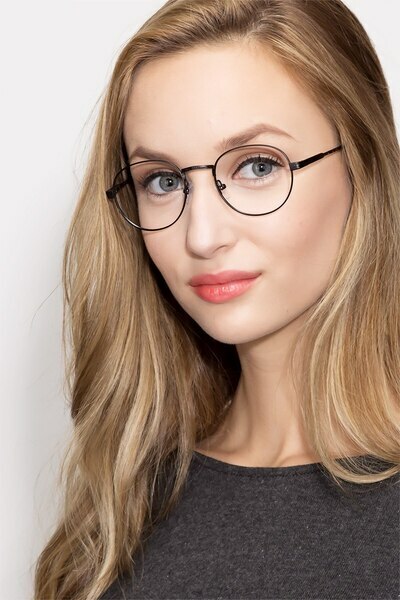 This full metal frame comes in a matte black finish throughout with round shaped lenses. 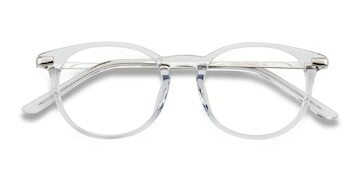 The temples feature subtle engravings and are flexible thanks to spring hinges. 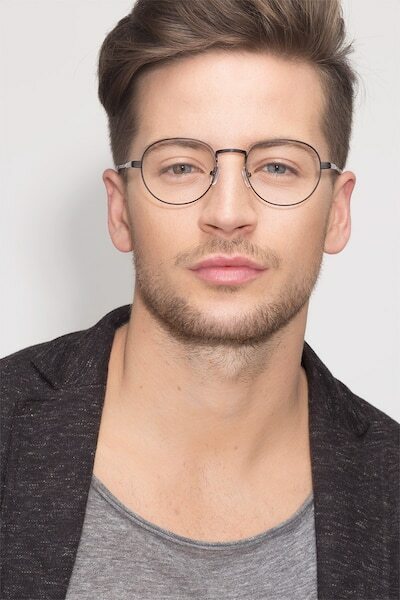 Adjustable nose pads and acetate arm tips make this a comfortable look for men and women.